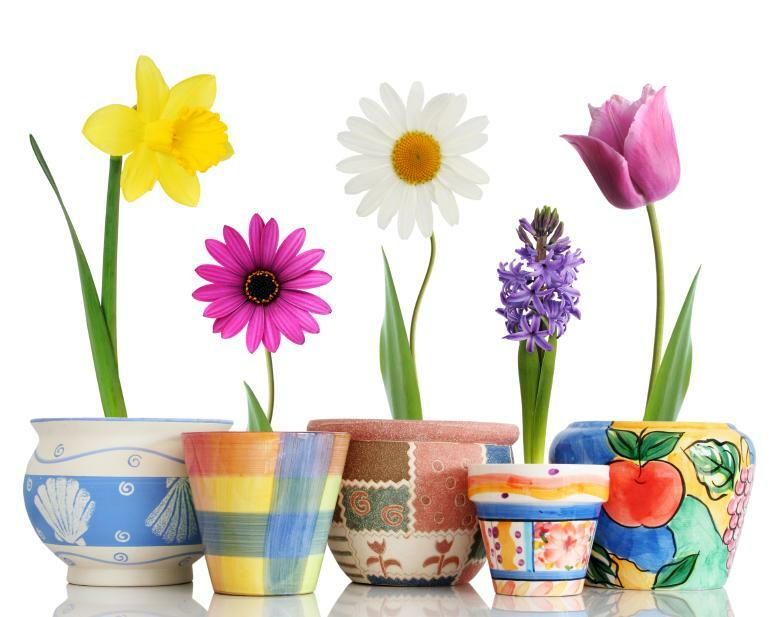 Latest news from Lori's Country Cottage! 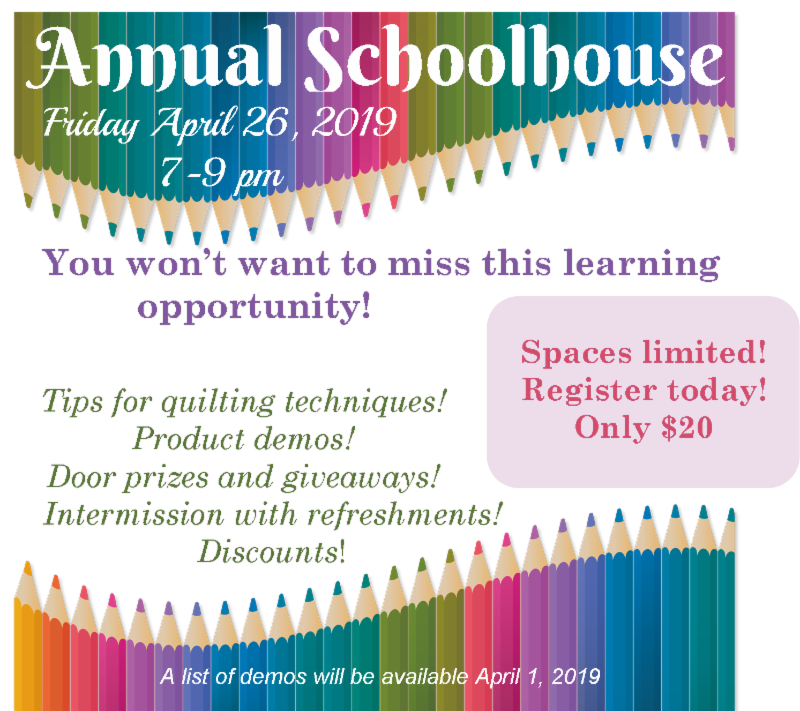 Join us for an evening of education! 30 strips in 30 seconds! I didn't know that about my sewing machine? Notion Nook!Put a Cork In It! Everyone in attendance will receive a swag bag! 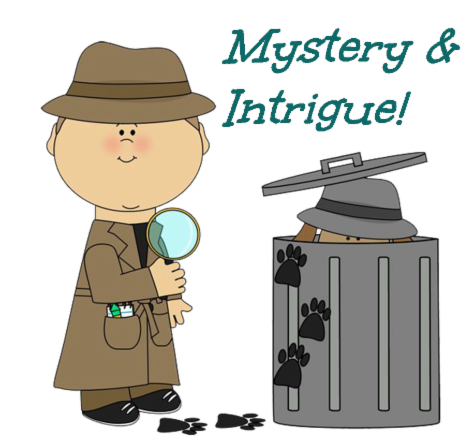 There are only a couple of clue packages available! 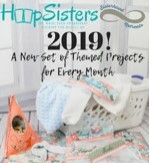 Only $25 to join and it includes your pattern! 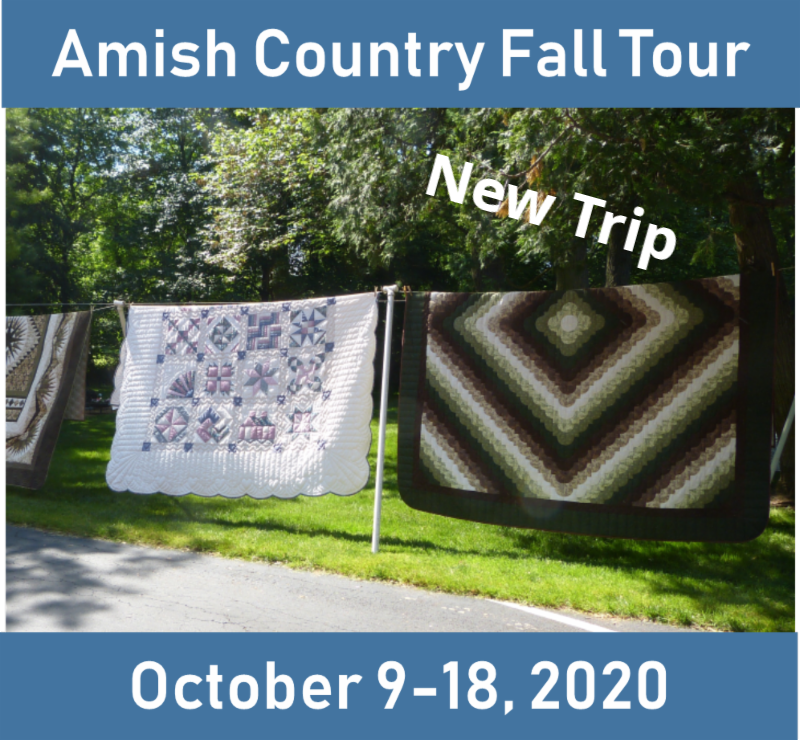 Once the mystery is solved Have your Mystery quilt finished by October 15, 2019 and submit in our viewer's choice contest. You could win a $100 gift card. Clue #3 will be released April 13! Visit our website for more information & to register! 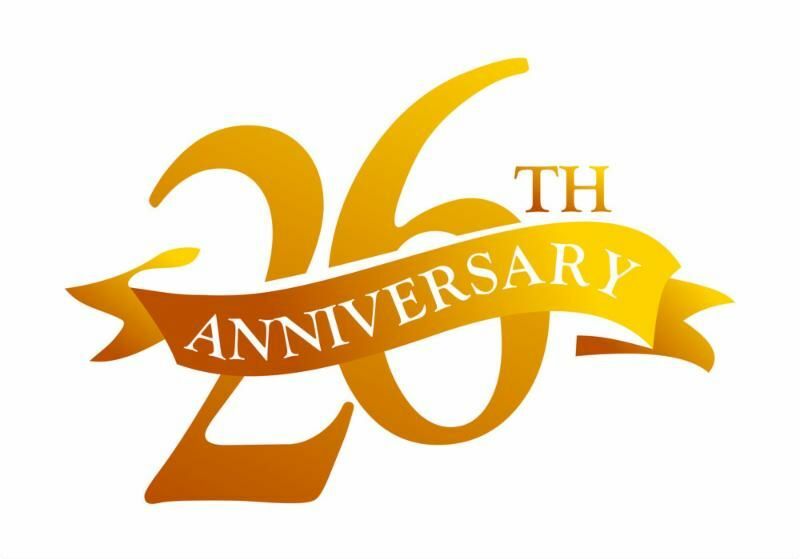 On the 26th day of each month the guaranteed temperature will be the discount ! 28 degrees = 28% Off. Watch Facebook for the discount! March 15 - Sept. 30! 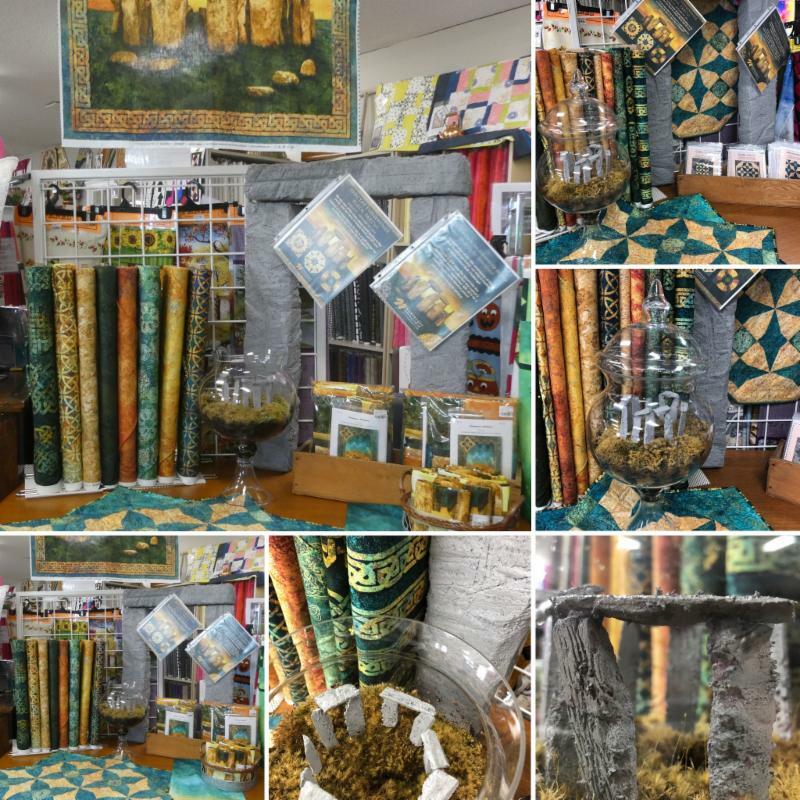 Northcott has created a Stonehenge Block Party that includes quilt shops around the world. 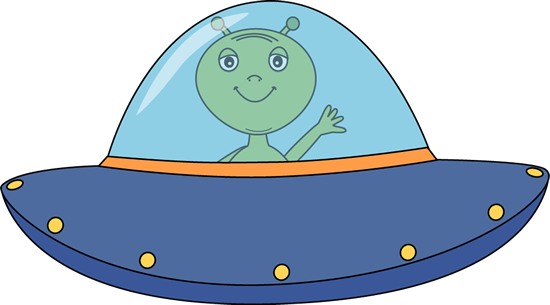 Check our website for all the information! There is a shortage of fabric already!! Place your orders for kits, patterns and fabrics asap to avoid disappointment. ﻿Next order arrives mid April. Have a minute? 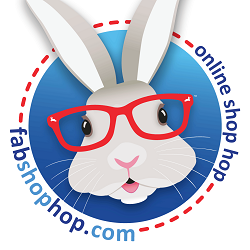 How about shop on our virtual shop hop with Fabshop! 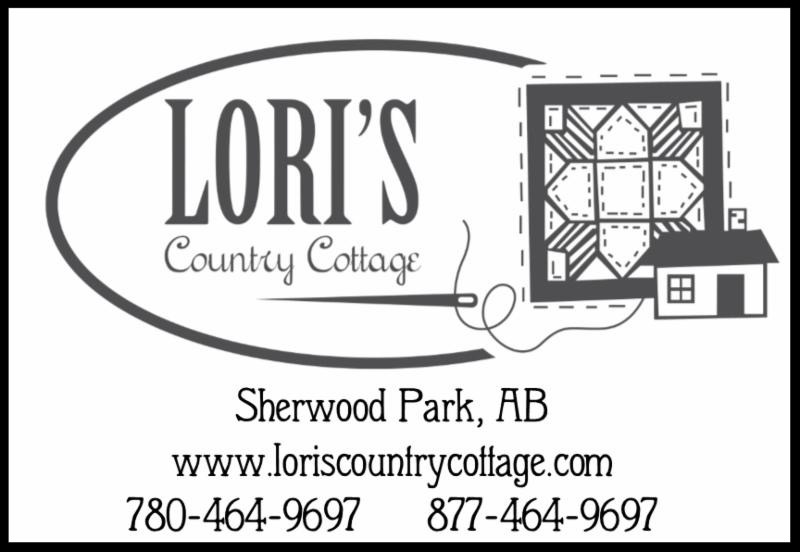 Lori's Country Cottage is participating in this fun Shop Hop. 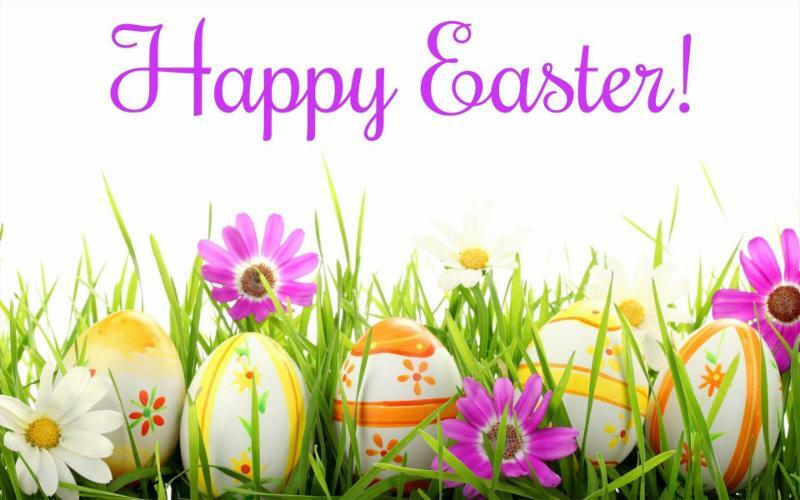 Click here for the clue to find the bunny! Mark this off your bucket list!! 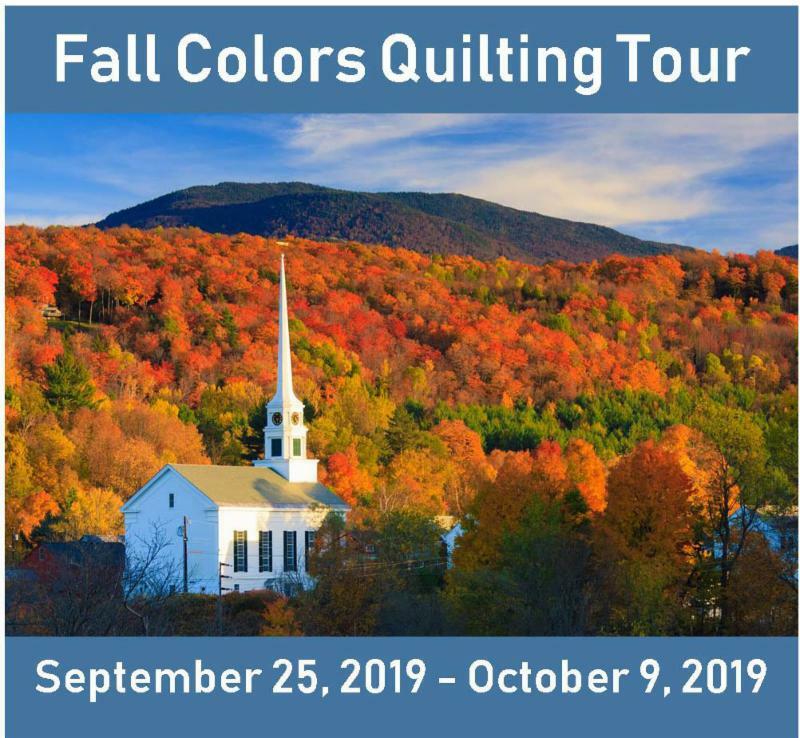 Join our trip to New York City, an East Coast Fall Colors Quilting Cruise, a VIA rail train ride from Quebec City to Montreal and tour Montreal! 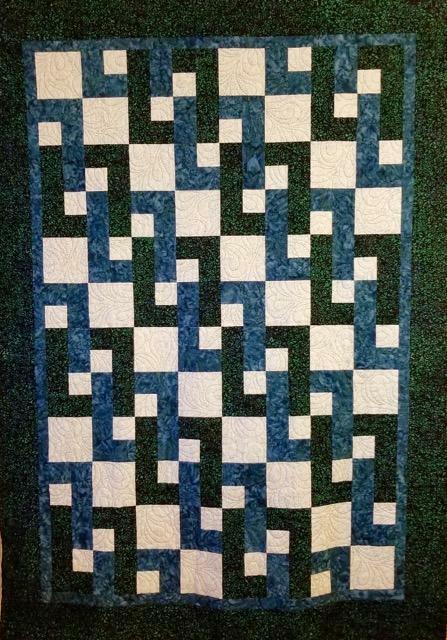 ﻿Just want to combine quilting and cruising? Join for the cruise only!! 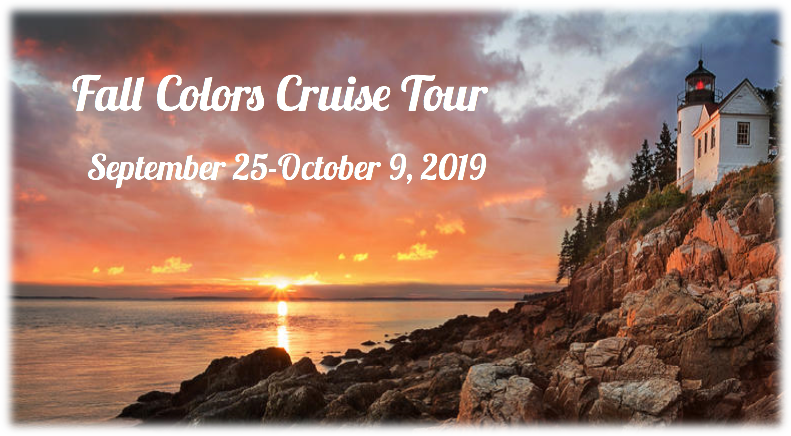 Click here for more information for this trip! This 45mm cutter has an innovative ambidextrous design that ensures precise cutting along a ruler in either your left or right hand. In addition, the unique and easy magnetic blade replacement means you’ll never drop a blade again! See yourself in this chair? 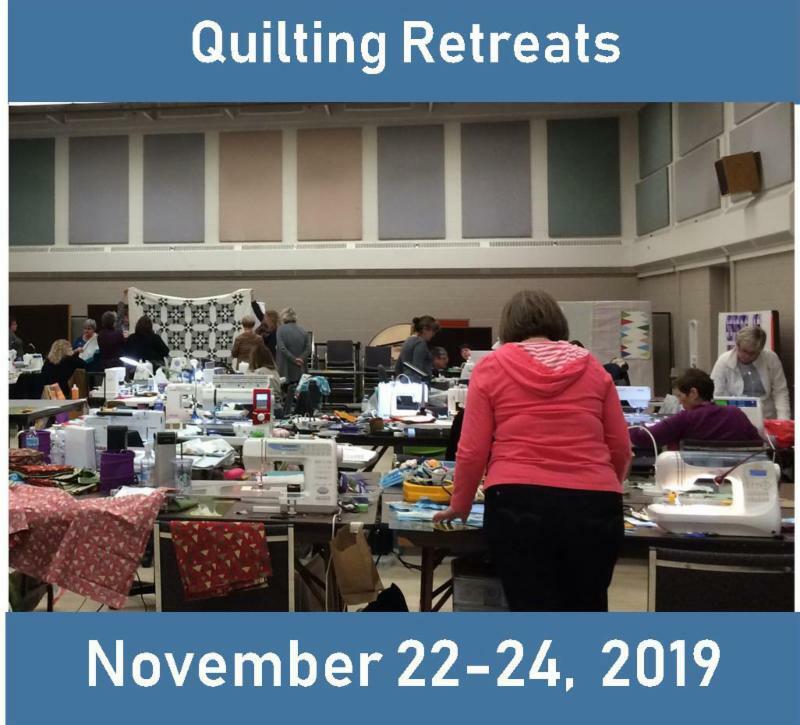 Join us for our weekend quilting retreat. Bring a friend or make new ones! The time is all yours. The only thing we stop sewing for is when they call us for meals … maybe sleep!! Don't be disappointed. Call today to reserve your spot! Only $500 deposit will hold your spot!! 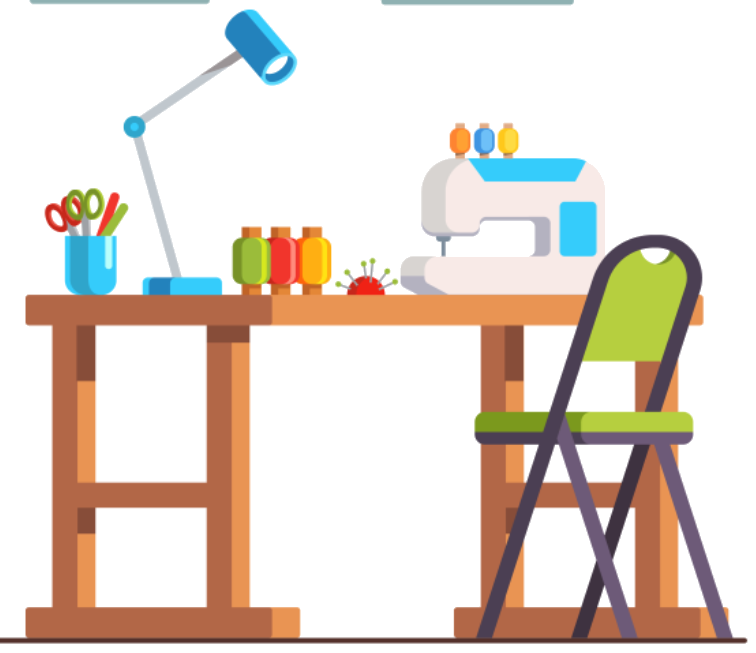 Would you like time set aside for you to sew? 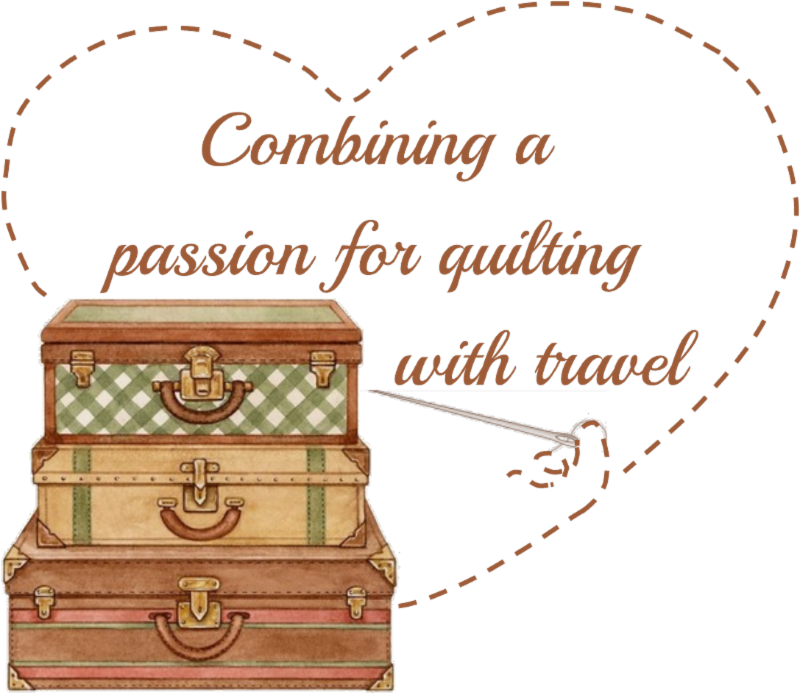 Can't get away to a sewing retreat? 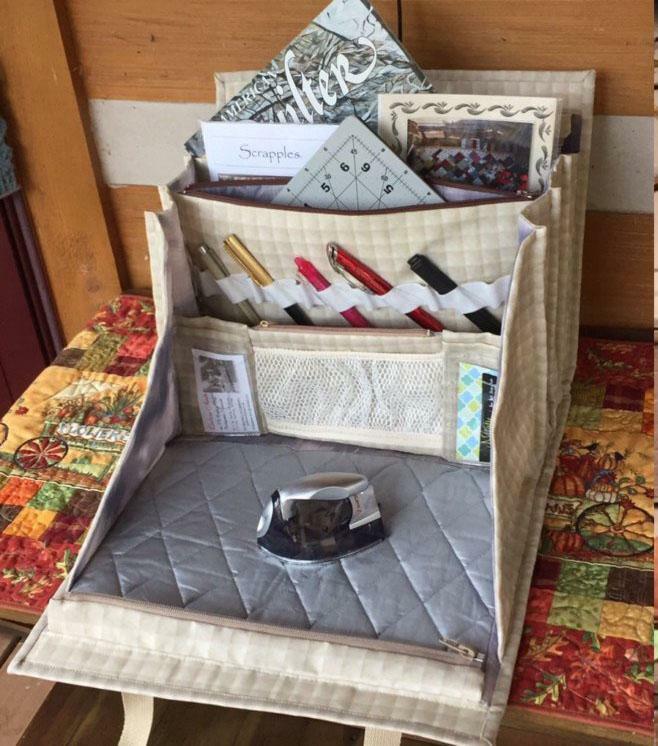 Join Freda and finish projects or get new ideas to create great projects with your scraps. Win.. Win situation! 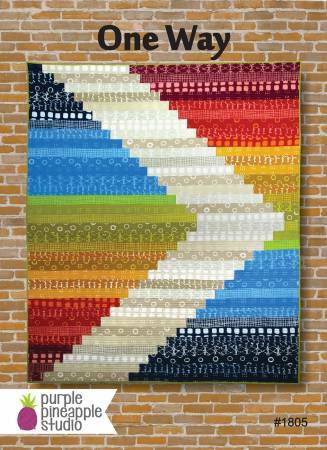 Need to complete an already started Log Cabin quilt? Join us in making the pattern of your choice or start something new! Lots of patterns and books to choose from. 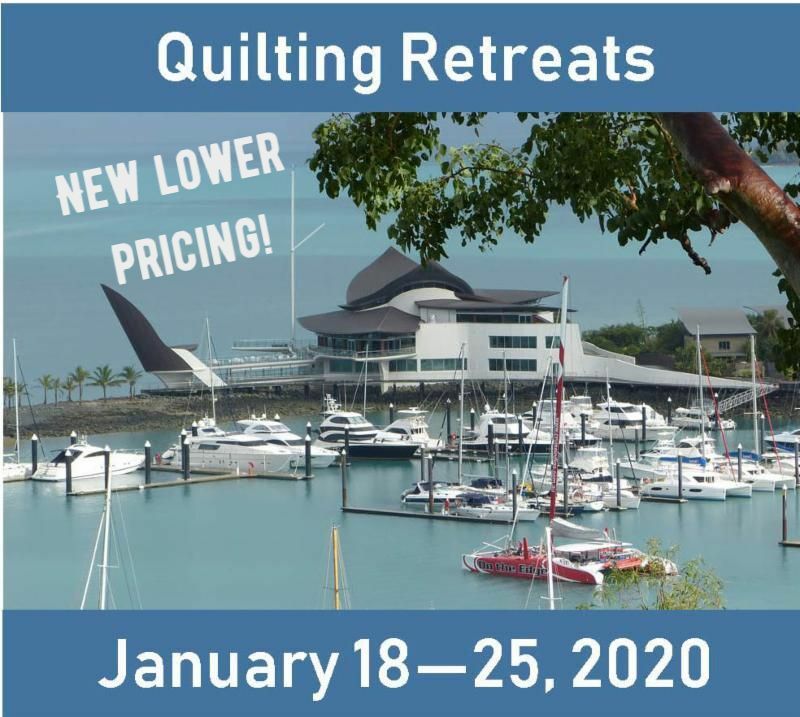 Meet some new quilting friends and have some fun! Reminder : There will be no Simple Whatnots class in May! NOTE: We ask that when attending the classes and clubs , be mindful of other students suffering from allergies and keep scented body products to a minimum. There is limited space in these upcoming classes! Call today to join! Don't want to miss out! If you missed out on the class you wanted to register for because it was full ... We have added new classes. 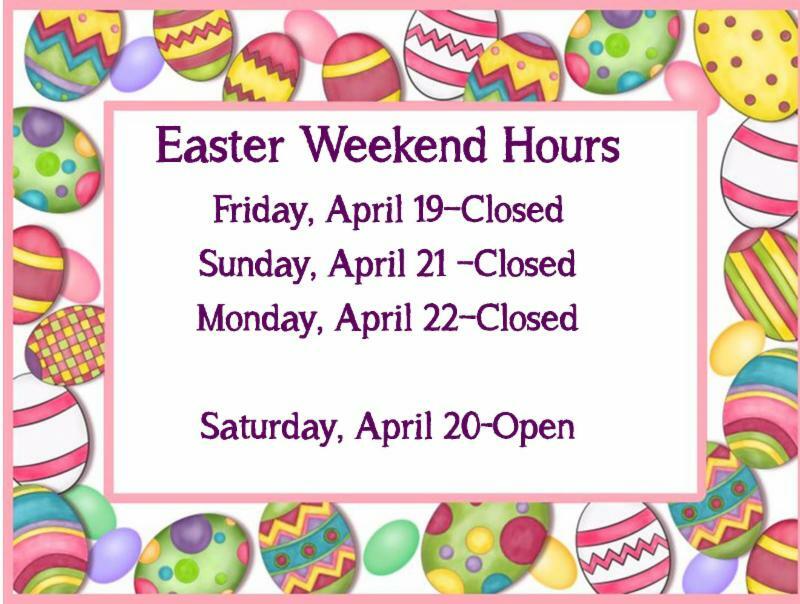 Click to see the new times! 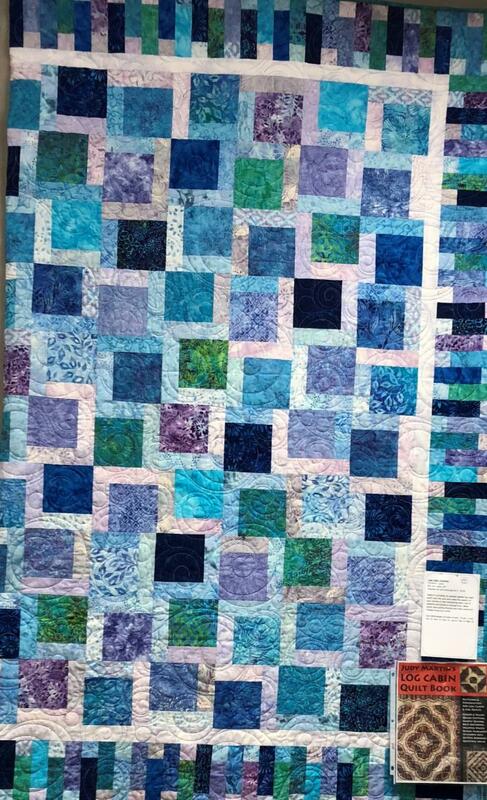 This course is perfect for anyone who would like to learn to quilt. 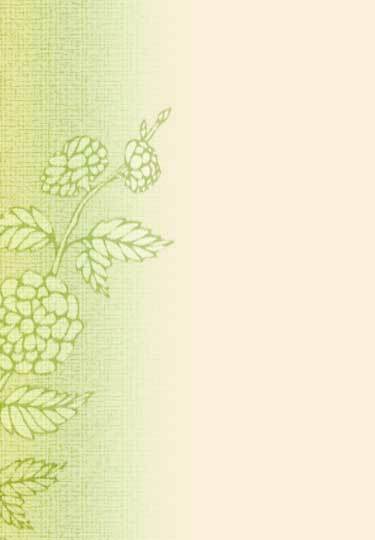 At orientation we discuss the pattern, the supply list, and you choose your fabrics. 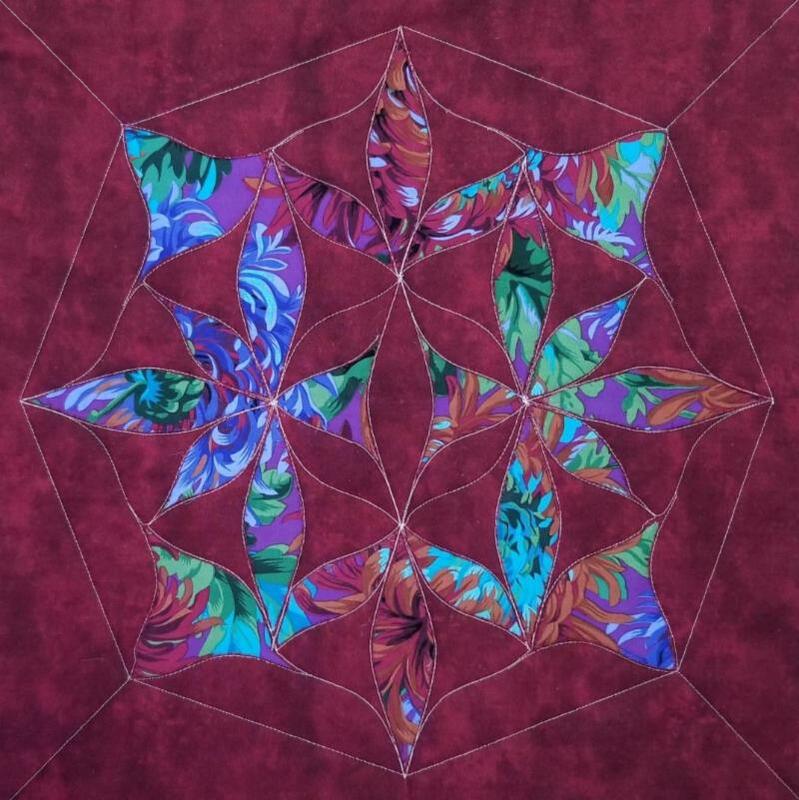 As you complete your quilt top during the following 4 classes, the course covers rotary cutting basics, sewing and sub-cutting strip sets, constructing pieced blocks, attaching borders and binding. Some homework is required. Want to learn how to make a variety of easy, fun pouches? 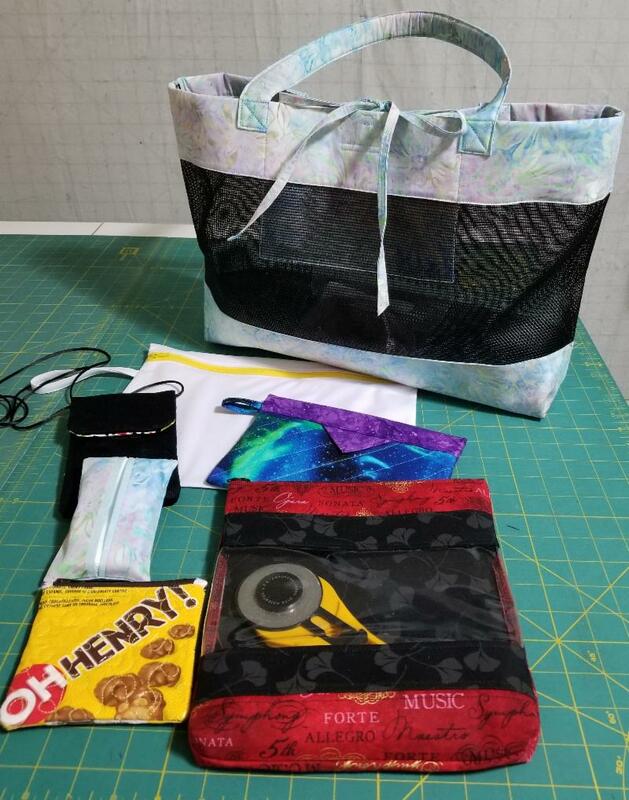 During the first 4 hour class we will make a cell phone bag, a tissue pocket, a peek-a-boo bag (with see through insert), a candy bag, a waterproof bag (for diapers or a wet swimsuit) and a snap happy bag. During the second class we will advance to make a mesh beach bag. Hopefully all bags will be completed during class time. A mandatory kit will need to be purchased as all pieces will be cut and ready to go. 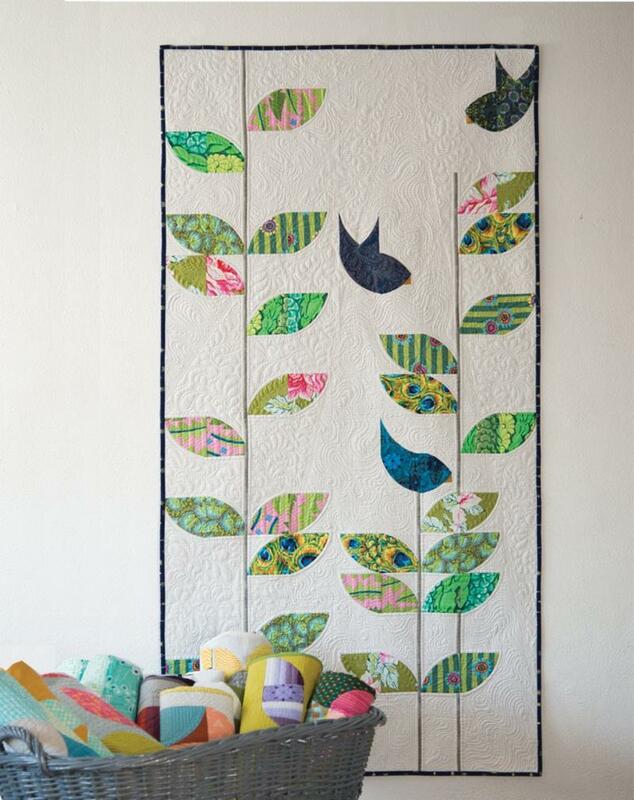 Join Laurrie to make this fresh, modern, contemporary quilt to welcome spring to your home. If you’ve never done curves before, don’t let that deter you. The Quick Curve rulers that have been developed by Sew Kind of Wonderful allow you to cut and sew curves easily and accurately with stupendous results. Book and ruler required. Visit our website for information on all our classes or call today 780-464-9697!